For building my own version of an 68000 based computer (actually, it’s the 68008, i.e. 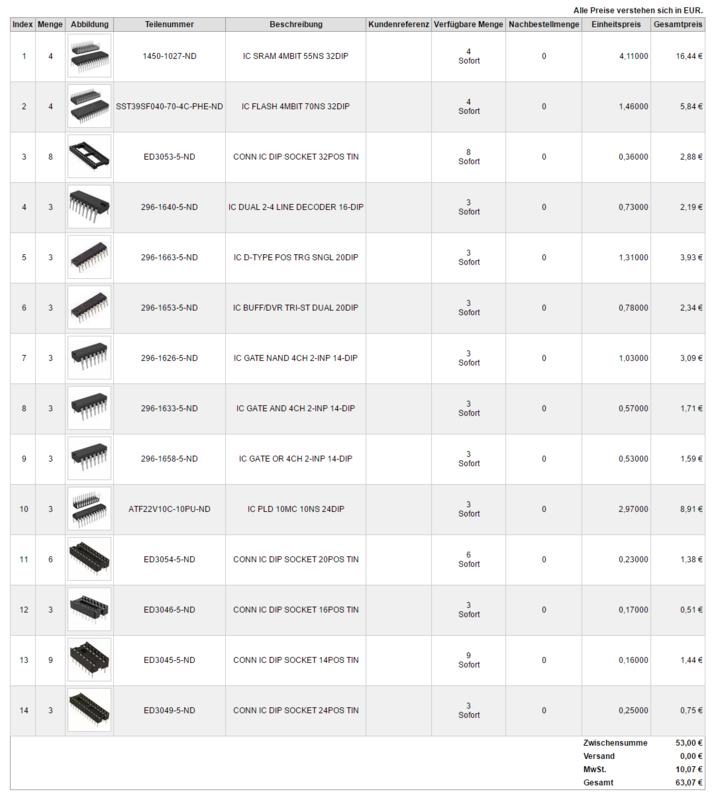 8bit version) I recently, ordered all parts that are described in the 68k blog, here is a list together with the prices that I paid at Digi-Key. The package to about 10 days from the US. SN74LS139: demultiplexer for deciding whether to access flash, RAM or serial. The USB host chip referred in the video is here, there is also shields for Arduino. After posting this on Reddit, there was a great discussion on how to reduce the chip count. Some suggested that I could reduce the complexity by using the address lines in a clever way, i.e. using one pin to enable RAM access, one to enable flash access and one for the serial connector. I’d LOVE to try that out. Should I dare? This entry was posted in 68k, electronics on 3. December 2016 by ramin assadollahi. Unfortunately, no. I dived into understanding the epaper screen, but nothing more yet.